Slim4Life is a weight loss program that claims to help you lose weight with their one-on-one phone consultations or in house check-ups. Is this just another one of those expensive programs that fools you with their claims? 2 Does Slim4Life Have Scientific Backing? 4 What are Slim4Life Side Effects? Slim4Life is a diet program that claims to have been around for about 30 years now as it is said to have been created in 1979. Before taking a closer look at the development and history of this program, the website alone gives it away. Slim4life.com is extremely outdated. This is never enticing when seeking a new and improved approach to weight loss. Nowadays, there are so many diets, supplements, and programs on the market that there is no time to waste with the ones that are far from appealing. Slim4Life offers two types of weight loss programs. There is an on-site program as well as an at home program. The on-site program requires that you come in person to one of their Slim4Life centers to receive one-on-one guidance and supervision. Although, if you do not live near their locations in Kansas, Florida, Texas, or Missouri, you are out of luck and would have no choice but to do the at home program. The Slim4Life home program provides you with a food plan, Slim Snacks, a tape measure, and 4 weeks of over the phone consultations. They also offer 6 and 10 week programs for those that want to make a longer commitment. When purchasing individual items off of the site, they are shipped to you free of shipping charges, as long as you spend over $150, but are non-refundable (this may seem hard to do, but considering the at home program alone exceeds $250, spending that much is a given). What if you are unhappy with your program? This is way too expensive of a risk to take. The price varies depending on your situation and what comes of your initial consultation. The price evaluation cannot be done over the phone, therefore if you do not live in the area you are stuck with purchasing a “home program” that is non-refundable and costs over $299 on sale that lasts a duration of 4 weeks. This general home package does not feature the “personal” plan they claim to construct for each Slim4Life client (looks to me like if you do not live in close proximity of the locations, you should just turn away now). The first over the phone consultation is when you will prompted to discuss medical history and get your personal touch added to the home program. 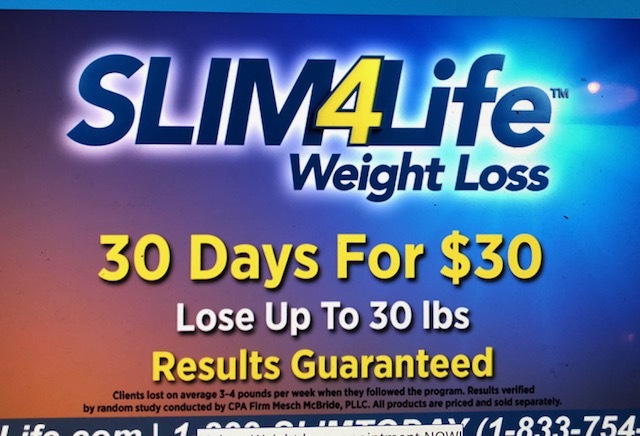 Slim4Life claims to assist their clients in losing “3 to 5 pounds a week (more or less)”. That being said, this guarantee that is repeatedly stated all over the website raises uncertainty with the “more or less” placed in parenthesis each time. Punctuation aside, there is hardly anything promising about this program. Depending on your goals, some may be looking to lose over 40 pounds while some may just be looking to drop 10. If you are stuck ordering an at home kit (because there are no locations near you) that only lasts 4 weeks, you are going to have to purchase it several times to attain your goal at a rate of 3 to 5 pounds per week. You will be spending about $600 over the course of two short months in non-refundable program purchases alone. What if it does not even work? What if you are falsely convinced it is working in the first month from natural loss of water weight and then it plateaus as you go on to week 5 and you are stuck? Although they pride themselves on providing you with a meal plan derived from foods you can get at the grocery store as well as out to eat, there are Slim4Life protein snacks and supplements that are obligatory as well. Sure, you may not be eating full meals made by Slim4Life, but there are still snacks and supplements that you are required to purchase from their company in order to achieve the so-called benefits the program claims to offer. Does Slim4Life Have Scientific Backing? There is no scientific backing or information disclosed on the website. There are several dietary supplements sold on the website, but no further scientific research or findings behind these supplements. Due to the fact that there is very limited information provided about the supplements, I highly recommended that you seek approval from your personal doctor prior to taking any of these supplements. There is very little information on the development of the products in this program and how it came to be. There is no-telling whether or not the supplements were designed by healthcare professionals or even clinically proven to have an effect on your body in any way or not. I would conclude that this program is not effective. There are a multitude of other sources out there that can help you with a meal plan and even better, exercise as well! It is important to remember that both nutrition and exercise are critical to positive and well-sustained results. What are Slim4Life Side Effects? There aren’t any specific side effects disclosed about the supplements or program at all. Just because they are not disclosed doesn’t necessarily guarantee that there are not any. I can almost guarantee just from just understanding the way this is set up that if your body is not used to consuming less than 1,500 calories a day, it will undergo some uneasiness at first. In turn resulting in fatigue and nausea because your body is used to receiving larger amounts of food and it will need to adjust to being held back. Other side effects to be aware of are in the dietary supplements you are consuming. Always be sure and consult a proper physician prior to incorporating new supplements into your daily routine. However, the lack of disclosed side effects on their part leads me to believe that these supplements do not have much to be wary of because they do not even work. Often times if a supplement prides itself on being safe or free of any side effects, it might as well be a placebo and is more times than not, useless. For those clients that do not have access to the centers, there is a phone support line that can be reached at (816) 730-7546. The first time you call there is a free over the phone consultation. Every time thereafter, the client and the consultant are expected to talk three times a week during business hours as a part of purchasing the “home plan”. When I spoke with one of the representatives, they mentioned that the phone calls all go through a corporate portal and then are picked up by different individuals after that. I do not know about you, but I would rather stick to one consultant that I will be able to work with in achieving my goal rather than confiding in a new person for support each time. As for social media platforms, there is a Facebook page for Slim4Life Texas, but that is all that I came across. Overall, I am not impressed by the support in the least. I must warn you that upon calling for your first time, make sure and have questions ready if there is anything I have not answered for you in this review. There is an overwhelming sales pitch that they bombard you with as well as they attempt to take note of your medical history straight away. After that first free phone consultation they try and get you to start paying, so be aware of what you are getting into. Slim4Life is a diet program available for men, women, and children ages 10 and up. It boils down to a diet that basically consists of a low calorie food plan and numerous consultations to allegedly change your lifestyle and have you losing weight for life. The philosophy behind this program is that by following a guide that consists of foods you can buy at the grocery store or order out, dietary supplements, and other Slim4Life snacks you should be able to create new healthy habits. After researching this product, the lifestyle changes they aim to promote can easily be made without going through the hassle of purchasing a couple hundred dollars worth of guides and products that have no scientific evidence, no refunds, and no support. If you are looking to get rid of bloating, shed unwanted pounds, have a balanced diet, and overall healthy lifestyle, you should most definitely seek out another program. “Slim4Life Weight Loss Kansas and Missouri – Home.” Slim4Life Weight Loss Kansas and Missouri – Home. Web. “Slim 4 Life.” Complaints and Reviews. USA Complaints, n.d. Web. The Perfect Health Diet book claims that through years of research they were able to develop the exact diet that we must follow for supposedly the best health and weight loss. Is this book really supposed to provide the exact diet to fit each and every reader? The Perfect Health Diet is a book that claims to provide you with a detailed discussion of the benefits and disadvantages of consuming certain foods and supposedly the proper diet to follow. 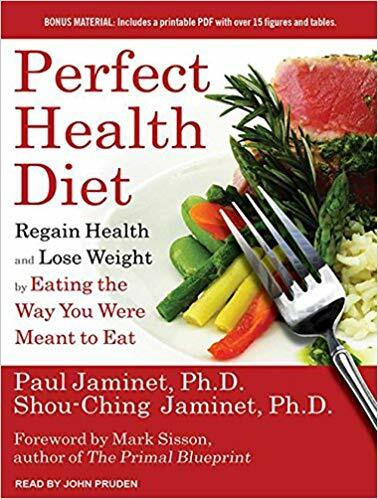 The Perfect Health Diet is a book written by husband and wife, Paul and Shou-Ching Jaminet. This couple has a qualified scientific background, their Ph.D.s, and a passion for diets and health. They began their research on the impacts of different food groups on diseases, immunity, and health. Their research covered everything from how we contract certain diseases to the potential health benefits obtained through the consumption of certain foods or lack thereof. This book is available for purchase online on several different websites. Amazon, being among the most popular of the sites, has the paperback version priced at $11.68 and the hardcover for $19.04. This reasonably priced guide was published in December of 2013. Ultimately, their goal in creating this Perfect Health Diet book was to give the reader tools to achieve optimal health, whether they suffer from disease or not. As far as the descriptive diet that they recommend, it is very similar to the well-known paleo diet. One of the minor differences is that in the Perfect Health Diet you are allowed to consume minimal simple starches such as white rice and potatoes, whereas starches are banned in the paleo diet. For those of you that are not familiar with the Paleolithic or “paleo” Diet, it is a restrictive diet in which starches, grains, legumes, sugars, and unhealthy fats (ex. vegetable oil) are not permitted. As printed on the front cover of the book, the Perfect Health Diet claims to teach you how to “Regain Health and Lose Weight by Eating the Way You Were Meant to Eat”. This claim seems plausible, seeing as how we should all be well aware of the importance of nutrition and healthy eating habits for our well-being. However, after looking into the feedback from readers and the content of the book itself, their “way we are meant to eat” statement definitely does not apply to everyone. Does The Perfect Health Have Scientific Backing? Considering both authors that collaborated to create this Perfect Health Diet are scientists as well, I would consider their research and findings to be sufficient forms of scientific backing. According to a customer review on Amazon, the information provided in the text was very credible. When research has been carried out for as long as 7 years, which the Jaminet’s claim to have spent on the research for this text, the evidence and conclusions made are usually considered to be true. Although, this is not necessarily always the case. According to a critical Amazon customer review, there were a few instances in the book in which the authors did not live up to their expectations in the least. Is The Perfect Health Effective? Although there is a pretty sufficient amount of scientific backing as to the diseases and the role of food discussed in the book, whether or not this diet is the “perfect” diet is still very much in question. What the recommended diet comes down to is one that is high in protein and low in carbohydrates. While this may be healthy for some, it is definitely not healthy for absolutely all. Aside from the food groups fitting “perfect” for everyone (or not), the effectiveness is questionable when you consider how difficult it is for many to just jump right into a diet of this sort. Going in cold-turkey can sometimes be rallied and motivated, but it gets tough when the cravings begin to creep in and you attempt to live a lifestyle of only these food groups for long periods of time. That being said, as far as this program being effective for the reader to achieve what they really are aiming to is nowhere near guaranteed. What are The Perfect Health Side Effects? The negative side effects recorded had to do with people that tried re-introducing certain food groups after completely eliminating them from their diet. Even though this is not referred to as an elimination diet, it is important to keep your body balanced. The balance helps to ensure that the proper bacteria stays where it belongs and gives strength to your immune system. If you follow a restrictive diet for a few weeks and really cut back on food groups (especially carbohydrates), chances are the side effects are going to be rough. Whether you develop intolerance and are irritated by the foods from the point of eliminating them on, or you begin to notice a fluctuation in weight and energy levels, you will suffer. The Perfect Health Diet website offers different ways for readers to stay involved and active in their commitment to the new lifestyle. One way is to sign up for the “Perfect Health Newsletter.” This newsletter is e-mailed to its recipients along with a complimentary e-book that is granted upon signing up for the newsletter. The Perfect Health Diet is present on several social media platforms such as Twitter, Facebook, Google+, etc. Besides contacting the Perfect Health representatives on social media, there are a few e-mails provided such as [email protected], as well as a few different places to post comments and concerns throughout the website. The next option they provide on their website is the “Perfect Health Retreat”. This retreat really drives home the support that this couple hopes to achieve in empowering their readers. They feature several videos of past customers that have attended this retreat along with their stories and experiences on the website. This is a retreat in which participants have the opportunity to really take all that they have gathered from the book to the next level. Attendees have the opportunity to further their knowledge in a daily educational program, proper cooking instruction classes, personal health coaching, movement classes three times a day, evening relaxation classes, and free time to enjoy the nearby ocean. Not sure how I feel about this, it seems like an interesting option and I have yet to see it offered with any of the other diet programs out there. The Perfect Health Diet is a book created to help inform individuals of supposedly the proper diet to achieve weight loss and optimal health. Although this diet seemed well-researched and credible upon first glance (seeing as how it was written by scientists with a passion for health and diets), it was not held in such a high regard after all. This is not to say that it is not ideal for some, but it is most definitely not the “perfect” option for all. There may have been some very qualified scientific research conducted in the making of this book, but as for the diet plan, it was just not fitting. If the book was geared towards diseases, foods, and immunity primarily then I may have had a different opinion. As far as a weight loss program, we suggest that you not spend your time reading this book and instead continue to look into other options that may be more fitting. “Perfect Health Diet: Regain Health and Lose Weight by Eating the Way… › Customer Reviews.” Amazon.com: Customer Reviews: Perfect Health Diet: Regain Health and Lose Weight by Eating the Way You Were Meant to Eat. Web. “Perfect Health Diet – A Diet for Healing Chronic Disease, Restoring Youthful Vitality, and Achieving Long Life | Perfect Health Diet.” Perfect Health Diet. Web. The Pritikin Principle Diet claims to have all the resources to assist you in weight loss from their expensive starter pack to an entire overnight facility. Will taking part in such a complex program be worth your time and money? 2 Does Pritikin Principle Have Scientific Backing? 3 Is Pritikin Principle Effective? 4 What are Pritikin Principle Side Effects? The Pritikin Principle Diet was created by Nathan Pritikin. According to his story, he traveled around the world to different cultures in which heart conditions were not so prevalent to gather his findings. This was supposedly sparked by his personal suffering from a heart attack when he was in his 40’s. He claims that by following a diet that is low in fat and protein, while high in fiber, people will not face such risks of heart disease. The Pritikin Principle Starter Pack is sold for $349.95 at a “special” price when supposedly the regular price is $100 dollars more. This package consists of one 30 minute over the phone consultation, one week of frozen meals, a one-year online Pritikin membership, and a book. To put this into perspective, by simply following this frozen dinner meal plan and reading a book within a week you are not going to see the results you were hoping for. Therefore, $350 dollars is an extremely steep price for far from guaranteed results. After a week, you will then only have access to your online membership. Once a member you have access to recipes, purchasing weeklong meal plans at a price of $225, a weight loss tracker, and a patient portal. What makes this diet program anywhere worth that expensive price? This original diet was created a while back, around the year 1970. Since then, Nathan’s son has taken over and the diet has been altered. Although this diet was originally created in hopes of lowering chances of disease, it now claims to aid in weight loss. As time has passed and there have been numerous other studies on nutrition and how our body functions, this diet gets a rap for being old news and some of the original findings do not comply with the findings about healthy diets today. Adapting to a lifestyle of eating foods that are low in fat and protein, while high in fiber can be quite a challenge. Not only to break habits, but on our energy levels as well. Now that the Pritikin Principle has loosened the reigns and allows nuts and seeds, the task is not as immense but still very difficult. So what makes it worth it? 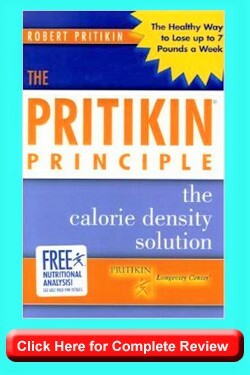 The Pritikin Principle claims to be one of the healthiest diets on the market. It is more so geared towards alleviating and preventing disease rather than the weight loss factor. When Nathan Pritikin originally created this diet, he claims his intentions were as follows. “All I’m to do is wipe out heart disease, diabetes, hypertension, and obesity” – (Nathan Pritikin, Founder). In developing this program what he intended to achieve, in turn is what the claims hold for those participating in the Pritikin Principle Diet. Specifically, claims include; reducing triglycerides, reducing bad cholesterol, chronic inflammation, weight loss, etc. Although this is what the goal may have been, in doing some further research it does not seem as though these claims are really met in this program. Does Pritikin Principle Have Scientific Backing? Following the several claims made, there is indeed some extent of scientific backing for each of these claims. This Pritikin Principle Diet has been featured in multiple medical journals and studied by many recognized research institutions. Some of these institutions include UCLA, Harvard, and Stanford. As part of the research, I found that some of the guidelines that this diet sets are actually faulty. For example, what we know about the importance of the proper fat in our diets from several studies that have been conducted in recent years. Nowadays, the “good fats” such as fatty omega 3’s found in salmon, and fats from avocados and nuts, are critical for proper brain function or feeling full for a sufficient period of time. Therefore the Pritikin Principle Diet that calls for a low fat diet is actually not the best for you. The Pritikin Principle Diet has extended from a published book, into a diet program with frozen meals and online membership, and later into a full fledge center. The Pritikin longevity center claims to be a location in which you can enroll and stay at for a period of time and that is where they guarantee the most results. However, if you do not have the time or money to enroll in a full on stay at a diet location, the at home program is your only option. If you are thinking that reading a book within a week and eating the frozen meals they send you with this program is enough to reach the results that they claim, you may want to reconsider. What if you have any allergies to the only food options they send you? What if you don’t see any significant changes in the first week and are forced to spend another $225 to get the meal plan for the next week? There are hardly any testimonials shown on the website, but in their defense they do provide scientific proof which does not make me automatically count out the effectiveness. What are Pritikin Principle Side Effects? As science has improved over the years, since the original Pritikin Principle Diet was developed there are definite some faults with the strict diet. As far as eating healthy and exercise, if everything is done in proper balance, there should be minimal side effects. The issue lies with the lack of fats and protein that the diet calls for. With slight changes to the guidelines in recent years, there is more animal protein and fat allowed in the plan, but still needs to be reconsidered. The original diet excluded most fats and this can have a negative side effect on our brain functions and mental conditions such as depression. In today’s day and age there have been several discoveries made regarding the benefits of animal protein, general protein, and “good fats”. By limiting the intake of such nutrients our bodies may suffer the side effects rather than reap the benefits. The Pritikin Principle Diet is originally distributed in the form of a book. It takes a lot of self-discipline to achieve the benefits and follow the diet properly. The Pritikin Principle offers a newsletter, email form for inquiries, and phone number (888) 254-1462. These forms of support (besides the newsletter) are all geared towards making a reservation for a stay at their facility or inquiries regarding the in-house rehabilitation programs. However, they do not specify any one on one support for the at home program or membership besides the initial 30 minute consultation upon signing up. This leaves the consumer primarily on their own if one is not interested in going through with the full on overnight stay. That being said, there is also not any Money-Back Guarantee mentioned on the website. The Pritikin Principle Diet was originally developed in the 70’s in the form of a book and has evolved into an at home weeklong program, online membership, or overnight stay program. Ultimately, this diet is very involved and far more complex than just following the steps to make some changes and achieve optimal health and weight loss. Although there is a large amount of scientific backing for this diet, it is research that can be done on your own and may not necessarily require the full on $350 weeklong program or stay at the Pritikin facility that they promote. If you are looking to lose weight, keep it off, and start a new lifestyle I would suggest that you save the money and find a program that will no doubt give you what you are looking to achieve. “Articles by CategorySuccess Stories.” Pritikin Weight Loss Resort. Web. “Pritikin Diet Revisited.” Body Soul. Web. “Scientifically Proven Results.” Pritikin Weight Loss Resort. Web. “What Foods Are Allowed When Starting the Pritikin Diet?” Live Healthy. Web. When your stomach seems like a bottomless pit and absolutely nothing seems to be filling you up, you can count on these foods to naturally suppress your appetite! Do you ever feel like you have been eating so much food and nothing seems to keep you full? That is very common when you eat foods that are poor for your body or are just lack the proper nutrients to send the messages to your brain that your body is no longer in need of consuming food. In order to avoid that situation I have a quick list of foods for you to make as your “go-to” rather than eating way more than needed. Oatmeal is first up on the list because naturally the amount of fiber that it contains works in a way that it keeps you full for hours after eating it. As long as you don’t doctor it up with a bunch of sugar or anything unhealthy, you will be amazed at how it starts of your day with a satisfied stomach and is the perfect breakfast food! Apples are a fruit that are rich in fiber as well as pectin, which assist your body in knowing when it is full. The natural sweetness that comes from the glucose makes for a great sweet tooth killer, while the glucose itself will help to boost your energy! Nuts are not only a great snack to get you through that afternoon stretch, but they are a fantastic source of protein and fiber. Almonds and walnuts in particular may seem like they have a higher calorie count, but just a couple handfuls will get you the antioxidants, magnesium, and protein to hold you over for a while. Salmon is a great way to have a low calorie meal and reap several benefits at the same time. It is a great source of Omega-3 fatty acids, which is an important nutrient for your body (and is one of the only important ones that is not produced naturally and can only come from external factors). These nutrients in turn increase a hormone called leptin in your body, which is highly recognized for its ability to suppress your appetite. Avocados, similar to nuts, are a great source of good fats! According to a Loma Linda University study, “Researchers found that participants who added half of a fresh avocado to their lunch reported a significantly decreased desire to eat by 40 percent over a three-hour period”. That being said, this super food is not only delicious but a proven natural way to keep your appetite suppressed! A great rule of thumb to keep in mind when looking for foods that will naturally suppress your appetite is to find foods that are high in fiber! Also, do not think that you will eat these foods and instantly not feel hungry. Give your body at least a 30 minute window for everything to begin processing and sending the right messages, then you can be the judge of whether you are hungry for more or that your appetite has been suppressed as planned. “Acute Effect of Oatmeal on Subjective Measures of Appetite and Satiety Compared to a Ready-to-eat Breakfast Cereal: A Randomized Crossover Trial.”National Center for Biotechnology Information. U.S. National Library of Medicine, n.d. Web. Boyer, Jeanelle, and Rui Hai Liu. “Apple Phytochemicals and Their Health Benefits.” Nutrition Journal. BioMed Central Ltd., 12 May 2004. Web. “Foods for Your Eyes, Skin, Hair – Times of India.” The Times of India. N.p., 30 July 2012. Web. “New Research: Effects of Eating Half an Avocado with Lunch on Satiety and Desire to Eat between Meals.” EurekAlert! N.p., 8 Jan. 2014. Web. Rossi, Andrea, Yolanda Lombardo, and Jean-Marc Lacorte. “Dietary Fish Oil Positively Regulates Plasma Leptin and Adiponectin Levels in Sucrose-fed, Insulin-resistant Rats.” American Journal of Physiology. N.p., 1 Aug. 2005. Web. Does Jenny Craig Live Up To Her Word? In the early 1970's in New Orleans, Genevieve Guidroz Bourcq was working at Body Contour, a weight-loss salon where women strapped themselves into vibrating machines believing it would help them lose weight, when she met Sidney Craig. They bonded over their common love for the weight-loss industry and quickly became a couple. In 1979, the pair moved to Melbourne, Australia, where they launched Jenny Craig, a powerhouse international weight-loss company that has garnered millions of subscribers over the last 37 years. However, despite its household name status, Jenny Craig is a very expensive program with wavering results which unlike most modern day diet programs has stayed behind times still offering processed food which in recent decade has become an epiphany of what bad food is. Let's look at it to determine if maybe processed and prepackaged does not really equal “bad”. The three-pronged program goes as follows: attend weekly meetings with a Jenny Craig coach, eat from the official Jenny Craig frozen food menu, and complete 30 minutes of moderate exercise five days a week. With 600 centers worldwide, participants must pick up or subscribe to a delivery system to receive their weekly food rations for a hefty price tag of $560 a month. “The coaches help you find solutions,” says Mary, a representative for Jenny Craig. “They’ll teach you the skill set to maintain your weight. They’re going to hold you accountable, and they’re going to motivate you the right away.” Jenny Craig coaches are the company’s main strength. Many of them are former subscribers of the diet themselves, and all have gone through comprehensive training. Weight-loss coaching is considered one of the best ways to shed the pounds. According to a 2011 study from Rio de Janiero University, those who receive weight loss coaching are 17 percent more likely to lose weight than those who fly solo. * In addition to the weekly coaching, Jenny Craig offers chat rooms, forums, and Skype sessions with your coach when you’re traveling. Unlike other diet programs, Jenny Craig tries to go by the federal regulations as much as possible. Dieters are told they should be losing no more than two pounds a week because that’s what the National Institute for Health recommends. Yet, at $560 a week, depending on your weight-loss goal, this could be a very slow and expensive path to losing weight. 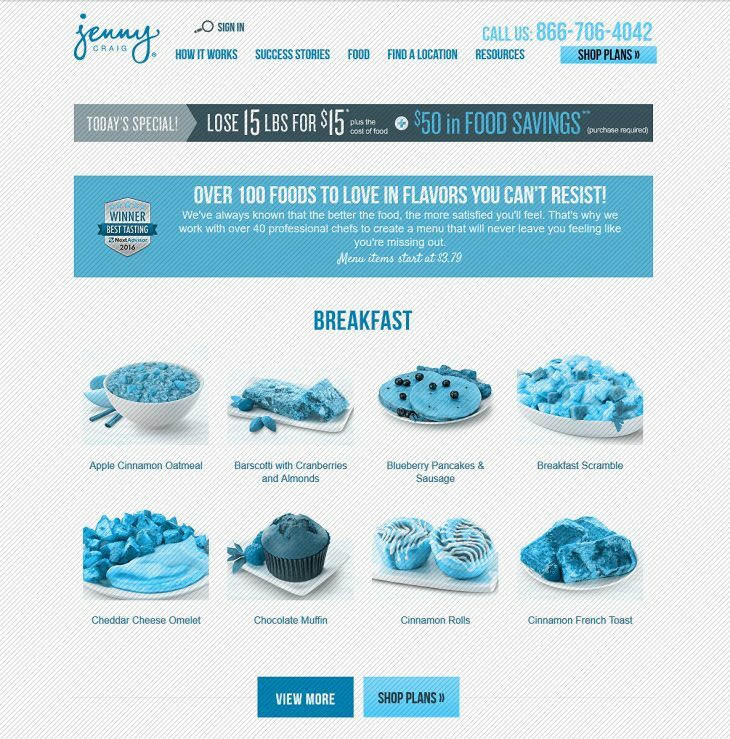 The second you hop on the phone with a representative, Jenny Craig has a surreal way of making you feel like it’s the only solution to your weight loss struggle. Representatives sweet-talk potential clients with promises of permanent results all while eating delicious meals with minimal calories. Their pitches are peppered with mentions of studies and awards. * It’s hard not to be swayed by Jenny Craig’s allure. Do Dieters Lose Weight With Jenny Craig? Jenny Craig insists that all three recommended meals a day only encompass around 1,200 total calories. Generally speaking 1200 calorie a day diets will help lose weight but the question is if that loss is sustainable? We have found many customer reviews and conclusion to make is that most do lose weight but the weight is regained once the diet is stopped. Jenny Craig offers what seems a good return policy but beware, you only have 3 days to “change your mind” and might have trouble getting your membership fees back. One of Jenny Craig Diet users found herself feeling “ripped off”, please see her experience explained bellow. Eating prepackaged meals is damaging to your nervous system and overall mental and physical health. The exceedingly low calorie count without meeting nutritional needs of clean, unprocessed food is bound to cause an uptick in stress and other emotional challenges. Yet, the most concerning aspect of Jenny Craig is there’s no telling or proof if the regiment will help you to permanently keep off the weight. Check your equipment: A stiffer tennis racket with tight strings can put unwanted tension on your arm causing a flare up. Try switching to a more flexible racket, with a looser string pattern to put ease on your arm while healing. The tennis professionals in your area can give you racket and string recommendations. You might also want to check with a tennis professional to make sure your grip is correct. Beyond Diet is a weight loss program founded in 2008 by Isabel De Los Rios. The Beyond Diet company focuses on educating people on what they should and shouldn’t eat based on their body type. While it seems like a great kick starter for some, it is rather common sense to eat the correct foods regardless of your body type. There is a $47.00 charge involved in getting set up with the Beyond Diet community, and then you are pressured to get the add ons (detox book, recipes etc.). Based on our connection to information online, I would not spend money on information that is already available to you free of charge. To top it all off, there have been absolute horror stories about current customers trying to cancel their subscription to the program, and being unable to do so thus creating unwanted monthly charges on their credit cards. 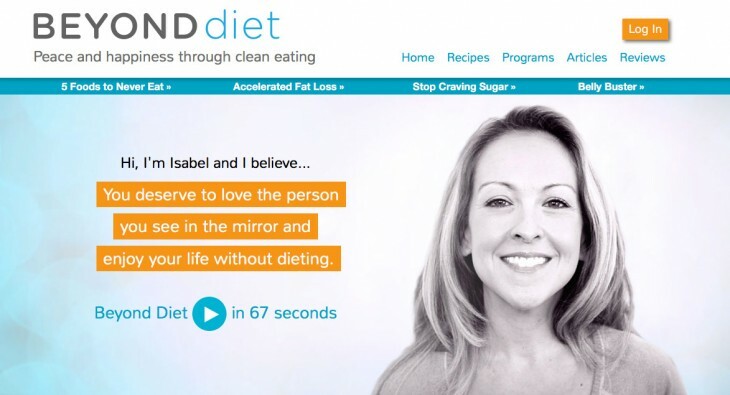 Beyond Diet offers a 60-day money back guarantee, with a twist. They claim that “In addition, Beyond Diet reserves the right to refuse a refund to anyone reasonably suspected by Beyond Diet to have previously taken advantage of Beyond Diet’s 60 Day Money Back Guarantee on more than one occasion.” This happens more than you would think, and the tone in many upset customer's voices are nearly frantic when they are trying to get a hold of the company to stop charging their credit cards. Regarding their subscription, the Subscription fees after the initial purchase are non-refundable. All subscriptions are set to process every 30 days by default. The customer may cancel, but it has to be at least 24 hours before the next billing cycle. The health disclaimer has not been updated since 2010. Isabel De Los Rios claims to be a certified nutritionist, and fitness expert for over 15 years. Regarding scientific backing from actual doctors, we have yet to find them on the website. They do not provide the potential customer any knowledge scientifically to why their program is said to work by the professionals. The basis of the method is simple; you will only lose weight if you change your bad eating habits to healthier eating habits. There is still science involved in creating a comprehensive program for people to truly lose weight, and they fail to provide that information to the potential customer. Current customers are spending nearly $50 dollars for motivational messages, tips, and recipes when they are right at your fingertips for free on many different websites throughout the internet. There have been multiple reviews on the web saying that this program does work, if you follow it strictly (like anything). The founder herself claims that she only cooks with organic food, and recommends that all of her clients do as well. This can get expensive for some, but the quality is definitely proven to be better for individuals all around. This is an elimination food program, which teaches people to cut out foods that are not good for them. I do not see why you wouldn’t lose weight, with or without using the Beyond Diet program. What does not make sense to me, is the nonexistence of promoting exercise in this program. This is a staple to becoming healthier, and it is not highlighted or promoted at all. Maybe it will come in the future of their product, but they do not have it now. There are more complaints about the customer service, than praises about the effectiveness of the program which is a real problem for many different reasons. Does Beyond Diet Have Side Effects? Due to the elimination process of taking away unhealthy foods such as refined sugar, breads, and soy, some customers have reported withdrawal symptoms. This includes feeling shaky, irritable, and nauseous. There have been no serious medical side effects reported. More or less, the side effects that are not actual physical side effects are pure frustration in the recurring billing of your credit card, that makes people feel like they have lost control on the program. This in and of itself is not a great perk when trying to lose honest weight with a somewhat dishonest company. What Is Beyond Diet Support Like? The Beyond Diet's social media following is over 1 million on Facebook which is impressive, but then again many companies pay for fabricated likes and followers so it may not be that impressive after all. What is also not impressive is the lack of activity from the followers. The phone lines were closed when I called in the first time, so I had to call in another day. The customer service representative answered my call, and read directly from a script in a monotone voice. I was simply trying to ask a few questions, and when I asked them I could tell he looked up the answers from a script, and did not truly care about the customer (me) on the other end of the phone. The $47.00 charge is a one-time fee for getting onto the portal, but once you get signed in there are hidden fees. Some of those fees include a $15.00 monthly newsletter charge, and a $77.00 charge to get physical books outside of the online portal. The hidden fees add up, and when reviewing the website, you are not told about the charges up front without asking. Once you give the company your credit card, it will be extremely hard to get those charges to stop occurring on a monthly basis, so just beware of that upfront. Overall the Beyond Diet just seems like a complete headache when it is all said and done. There have been reports of numerous customers who were unsatisfied with the book, and how vague it was. The bulk of the information is mere common sense, and did not satisfy. Finally, the lack of recipes the main book provided was a huge let down to 99% of the readers. Their message is rather simple, eat healthy, eliminate processed foods/sugar, and buy organic. You do not need to sign up for a monthly subscription for this information. Please save yourself the headache from The Beyond Diet program and do not fall into their credit card trap. Eat seated at the table. Bad habits like eating while watching TV or playing video games should never be practices. Be mindful of what and how much you eat. Don't let eczema leave you feeling dry, follow my at home remedies. Atopic Dermatitis (also known as Eczema) is a very common skin irritation that affects over 30 million Americans to date. 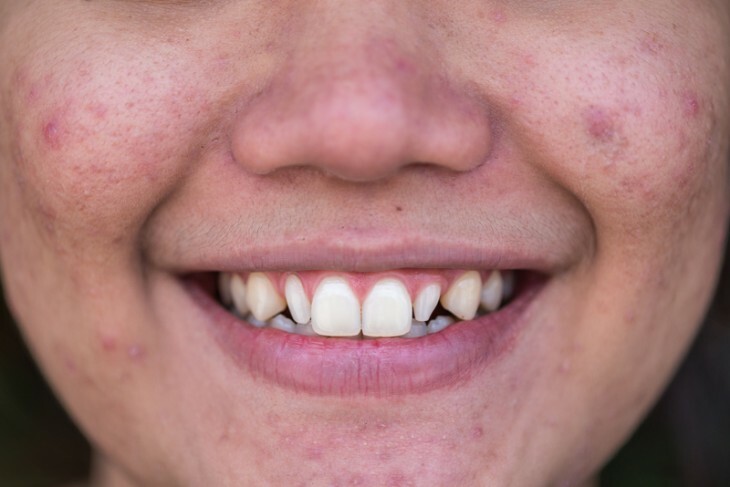 While there are many different forms of eczema, atopic dermatitis is the most common. Eczema does not have just ‘one’ cure, but is manageable for many by understanding many of the triggers that can provoke it. The word “eczema” comes from the Greek word that means to bubble or boil over. “Many people have it on their elbows or behind their knees. Babies often have eczema on the face, especially the cheeks and chin. They can also have it on the scalp, trunk (chest and back), and outer arms and legs. 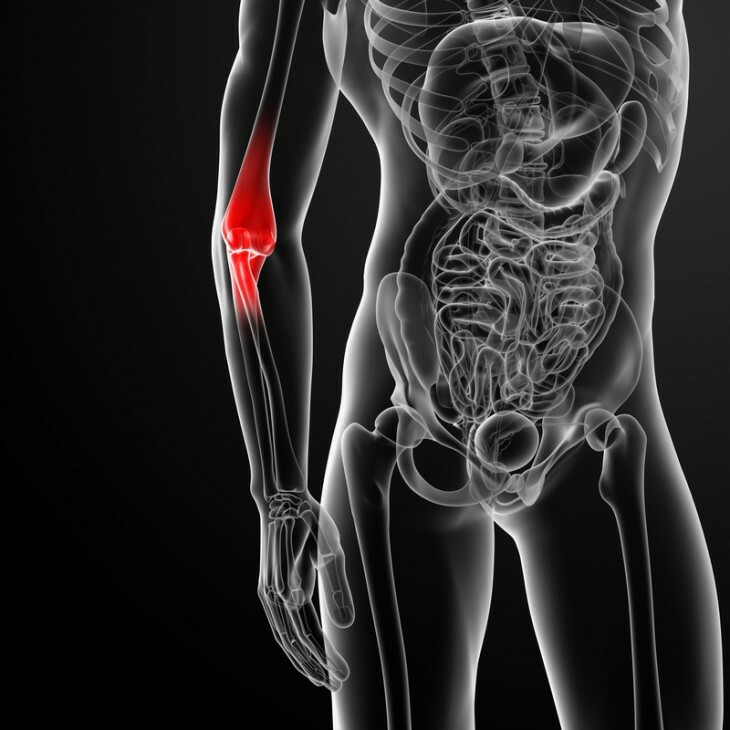 Children and adults tend to have eczema on the neck, wrists, and ankles, and in areas that bend, like the inner elbow and knee,” (“Eczema, 2013). The symptoms for eczema are dry, itchy, red and patchy skin accompanied with thick spots. Flare ups can occur when you are overstressed, eat triggering foods or use triggering irritating personal care products and have constant contact with sweat. The use of harsh soaps and detergents can also leave an eczema patients skin irritated. 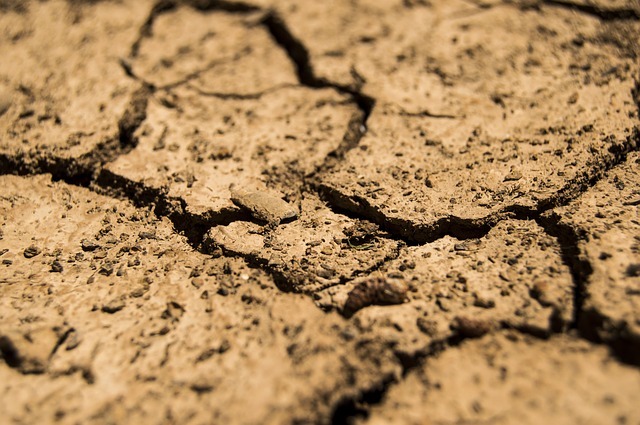 Cold winter months also can do a number on skin that is prone to eczema flare-ups. There is a bright side to finding relief from eczema through at home remedies. You can take advantage of these simple remedies to help alleviate the pain and discomfort eczema causes (“Eczema and Your Skin.” n.d). Coconut Oil: Coconut oil is a great resource for people with eczema, as its antifungal and moisturizing properties work wonders on your skin. You can use it topically, and rub it onto the affected areas after a shower (“7 Natural Remedies.” n.d). Jojoba Oil: Jojoba Oil is not even an oil, it is a wax. “It is composed of long chain fatty acids and fatty alcohols and is incredibly rich and moisturizing.” Because it penetrates deep into the skin, jojoba oil may be the trick for you. To apply, wash your hands and apply a small amount to the affected area and massage into the skin. Because jojoba oil is strong, you will not need a lot of it. Apply 3 times a day (Goodall, n.d). Oatmeal Bath: Because oats are loaded with anti-inflammatory properties they make a great option for soothing irritated eczema. Take one cup of oats, and place them in a cheesecloth or muslin. Tie off the bag, and hang it with a string near the faucet. The bath water will turn milky and smooth. Soak for 10-15 minutes. (Goodall, n.d). Honey: Honey is antimicrobial and anti-inflammatory which helps speed up the healing process of broken and irritated skin. Honey can get messy, so apply to the affected area and cover with a bandage for 20-30 minutes. Once completed, wash with warm water and pat dry (Goodall, n.d). Cornstarch and Oil: When wet, corn starch forms a cool paste, and it great for soothing irritated skin. To use, simply mix cornstarch with olive oil to make a paste. Apply to the affected area for 20 minutes and rinse with warm water. It is always good to use moisturizer after any home remedy treatments. (Goodall, n.d). While honey, coconut oil, and oatmeal baths require a little clean up, they may just be the remedy that gives you relief the natural way! The pros of at home remedies are convenience, and comfort knowing the treatments are simple. Along with affordable solutions that you may have laying around your home today. The cons can be the mess some of the remedies can create. Lastly, because everyone’s eczema requires different treatment, none of these home remedies are guaranteed to give you relief. If the at home remedies do not cause you relief, consult your dermatologist as they may recommend over the counter products that can alleviate your discomfort. Additionally, many people will be wise to investigate food allergies or sensitivities that could be triggering eczema flares. Common culprits here include gluten, dairy, and sugar!